Baby Jogger, LLC is recalling 15,103 City GO Infant Car Seats (models BJ64510 and BJ64529); City GO Base for infant car seat (models BJ80400 and BJ61500); City Mini Infant Car Seat/Stroller Travel Systems (model BJ72510); and Vue Lite Infant Car Seat/Stroller Travel Systems (models BJ70411, BJ70424, and BJ70431). The child seats have information on the labels, instruction manual and registration card that is either the wrong size, has an incorrect background color, or is in the incorrect order or is missing. As such, they fail to comply with the requirements of Federal Motor Vehicle Safety Standard number 213, "Child Restraint Systems." Missing information, undersized text, lack of capitalization and warnings in an incorrect order may affect the consumer's understanding on the proper use of the infant car seat, increasing the risk of injury to the child in the event of a crash. 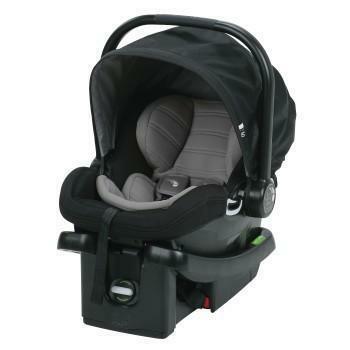 Baby Jogger will notify registered owners and will provide a free replacement infant car seat. The recall is expected to begin during September 2016. Owners may contact Baby Jogger toll-free at 1-800-241-1848.